Until recently, health care has been exempt from digital marketplace trends. Patients historically selected a primary care physician (PCP) to guide and direct all health-related decisions, and health insurers picked up the bill. Customer relationships with PCPs could last decades and patients respected the word of the physician as gold. However, dramatic changes in how patients consume and pay for health care have prompted heightened awareness of the cost and quality of health care services, and many patients are now shopping for medical services as they would for any other purchase. Today, it is common for patients to request access to their medical records, including images, and forward-thinking physicians are making the information available with newly developed technologies. The cost of health care is increasing, and insurers are putting more responsibility on patients when it comes to making smart medical decisions. The Affordable Care Act (ACA) made it possible for individuals to compare and select their plans, and a rise in high-deductible programs coupled with Health Savings Accounts (HSA) mean many patients pay out-of-pocket for a large portion of their care. Financial considerations prompt individuals to choose providers that offer high-quality service at competitive prices, and consumers simply won’t return to a physician that doesn’t meet their needs. For many patients, access to medical records is a must-have. This year, my wife and I welcomed our first child into the world. Recently, we were faced with a medical emergency and needed to take him in for an urgent assessment. It was determined by the treating physician that an ultrasound scan was required to rule out some potentially serious concerns. We were already worried, but when we walked into the radiology department, we saw something alarming. The technician who was to perform the scan was searching YouTube videos on how to conduct this type of scan on an infant! Obviously uncomfortable with proceeding, we spoke with the treating physician. He confirmed that appropriate action would be taken to address the issue with the technician and then arranged for the scan to be conducted by the head of radiology. Ultimately, we were happy with the care our son received and had no qualms about returning to the facility in the future. However, that changed in an instant when we asked for a copy of the scan, in case a second opinion was needed or the issue returned. While this type of dismissive approach may have worked in the past, it is not acceptable in today's patient-empowered health care environment. In the end, when the doctor left the room a nurse explained that we needed to submit a request with a third party company that handled off-site medical record storage. Through a convoluted process, we were finally able to obtain a CD with our son's medical images three days later. 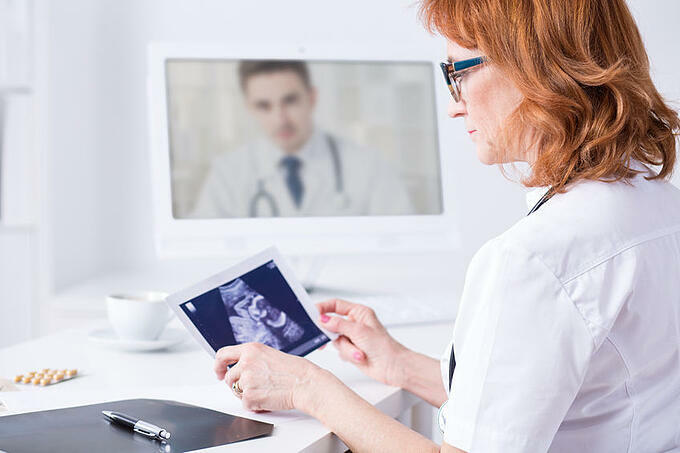 With the technology available to hospitals today, anything short of immediate access to medical images is just plain unacceptable to a patient who is worried about the health and well-being of his child. The whole process permanently soured our opinion of the facility and if anyone were to ask, I can assure you we won’t be recommending this facility or physician to friends and family or returning back ourselves anytime soon. Because consumers have more responsibility when it comes to selecting health care services, they also have more control over the process. It is no longer practical to stay within a specific practice or referral network for all medical needs. For this reason, a superior patient experience is required from start to finish. Ensuring specialists and other providers have easy access to medical records is a priority for today’s patients, and they expect the process of obtaining records to be smooth and hassle-free. Outdated methods of transferring records are no longer meeting patient standards in terms of service. After all, images saved on CD can easily be lost if the disc is misplaced, scratched or otherwise damaged. Many laptops today don't even have a CD drive anymore, further complicating the process. Today’s consumers expect the same type of simplicity they experience when sharing photos – a simple login to a cloud-based provider that they can access anytime, anywhere. Forward-thinking health care providers are making sure they can meet this need in order to provide the highest-quality care and remain competitive in the future health care marketplace.